Why Use Our Meat Hoist & Rail System? Improve the health & safety of staff – Carcasses can be extremely heavy which can of course lead to a variety of specific problems, most notably the back and spine. 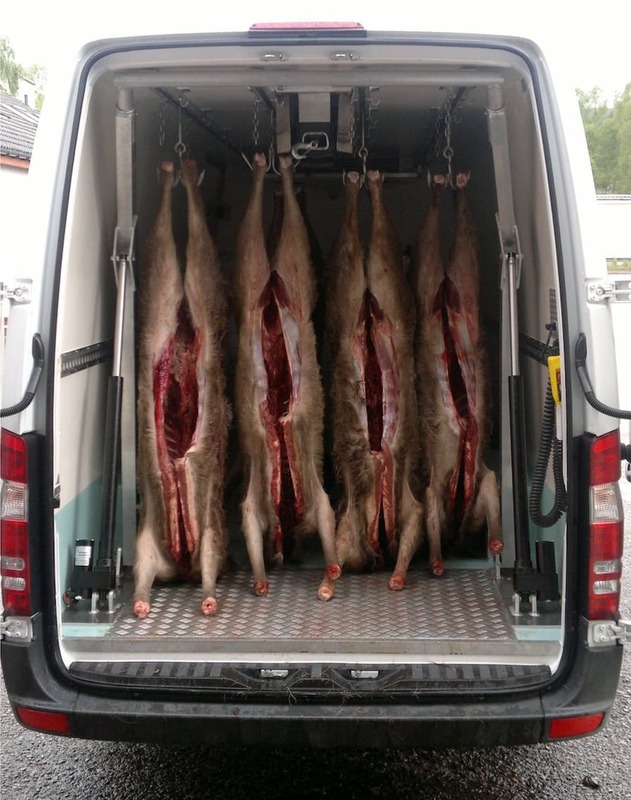 Our hoist system allows the meat to be hooked up at head height… meaning no lifting into the back of a van and then lifted again to be hung. Improve the quality of produce – As there is less handling, there is less chance of dropping, bruising and scuffing of carcasses… keeping your produce in the best possible condition during transportation. 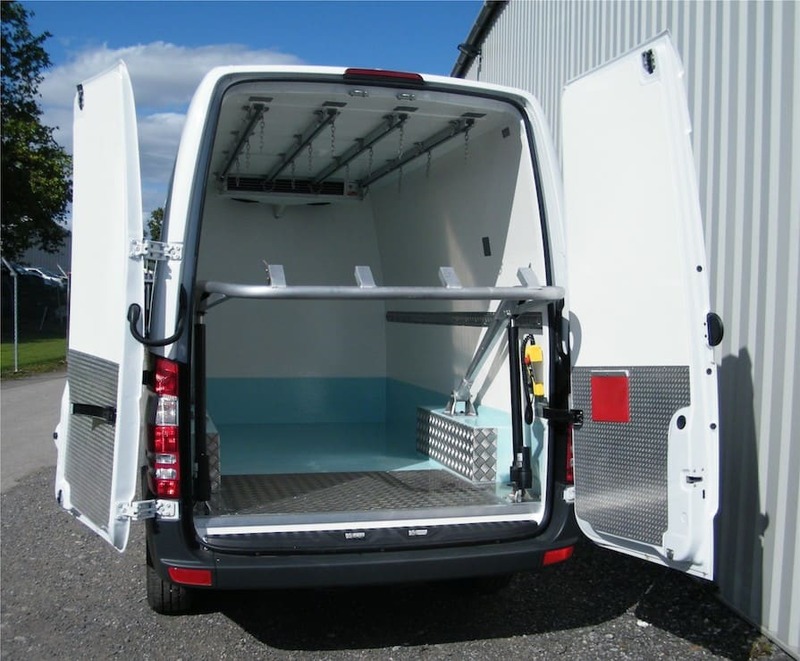 Speed up loading and unloading – Our hoist works hand in hand with the rail system inside the van allowing the carcasses to be lifted into the van which then simply slide down the van into location and of course vice versa for unloading. The hoist takes just 30 seconds to lift and lower up to 4 carcasses! Full aluminium hoist frame and meat rail strengthening. 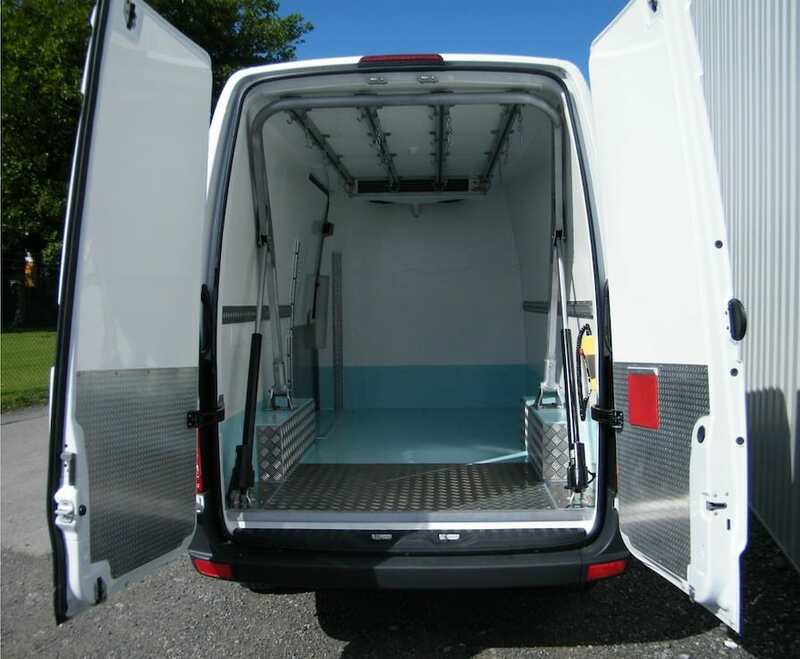 NO hydraulic oil used, NO risk of contaminating the load space. 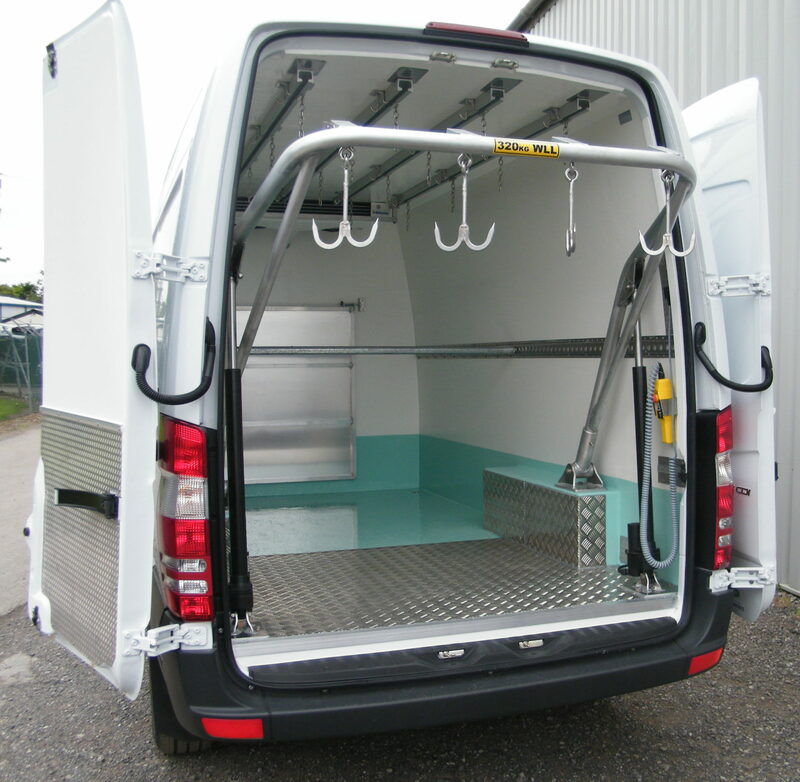 Single piece hoop frame formed to the van internal side wall contours to maximise available space. Hooks available as singles or doubles. All weight from the meat rails and the hoist is transferred to strengthening at vehicle floor level. Fast acting electronic actuators are the lifting power. Available as 2-3 or 4 meat rail system for all main vehicle makes. Standard equipment includes an evaporator guard. Exceptionally light weight system... the 4-rail system weighs only 80kgs! The hoist has a massive 350kgs lift capacity to cater for all purposes. Meat rail system features the Furgocar ‘C’ low profile rails and hooks. Engineered for a long life.